From the creators of America’s number one hit sitcom The Big Bang Theory, comes a new sitcom known as Young Sheldon. Eleven years after The Big Bang Theory first aired on television, CBS decided that it was time to make a new show that showcases what it was like growing up as The Big Bang Theory’s main character Dr. Sheldon Cooper. The first episode of Young Sheldon aired on September 25, 2017, and from the looks of it, there will be many more where that came from. Young Sheldon is based on the life of Dr.Sheldon Cooper, a character who is an extremely smart theoretical physicist, that has the IQ of a genius. The series is set back in 1989, the year that 9-year-old Sheldon skips ahead four grade levels and begins high school with his older brother George. Sheldon was interested in science at a young age. The child prodigy is extremely intelligent, but due to his awkwardness and lack of knowing when or when not to say things, he struggles a lot throughout the show. During his time in high school, he struggles to be understood by his teachers, classmates, family, neighbors and other people. Sheldon also has a hard time making friends, and has to deal with being bullied. Most of the time it seems like his mother is the only one who understands him. In the show, Sheldon is apart of a family of five. He has an older brother named George Jr., a twin sister named Missy, his dad George, and his mom Mary. The actor that plays Sheldon on the Big Bang Theory, Jim Parsons, narrates Young Sheldon’s life, while actor Iain Armitage plays the role as young Sheldon. I’ve been watching The Big Bang Theory since it first aired, so when I heard about Young Sheldon, I knew that I had to watch it. I watched the first episode which was very predictable because the previews showed way too much, but other than that it was a really good show. Now I watch the show every week, and I absolutely love it. If someone told me to choose between The Big Bang Theory or Young Sheldon, I don’t think I could, because that is how much I love both shows. Plus the show is very family friendly. In my opinion, CBS should’ve made this show a long time ago. Overall, if you enjoy comedy, drama, and geekiness, then Young Sheldon is definitely the show to watch. 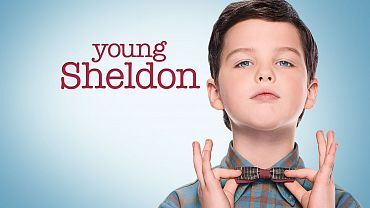 If you are interested in watching Young Sheldon, new episodes air Thursday nights on CBS, after The Big Bang Theory. I absolutely love this show, and I can’t wait for the next episode.